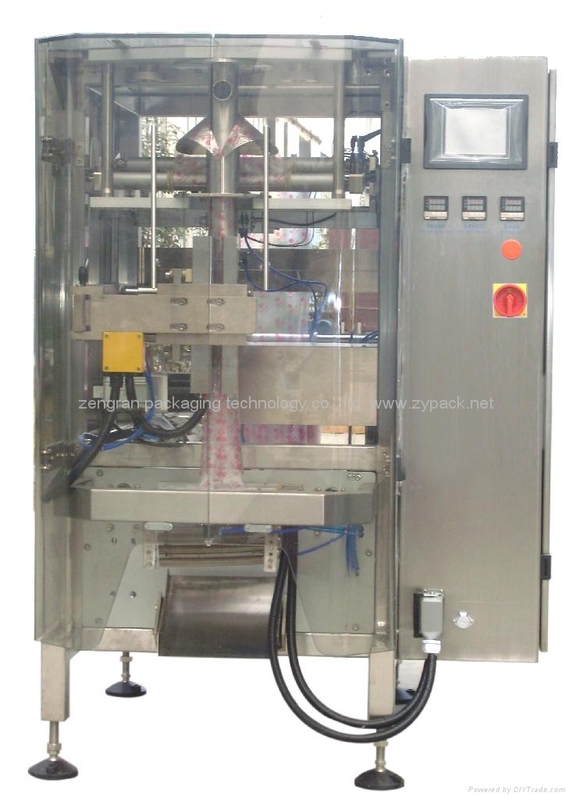 This machine integrates the function of bag-making, filling, sealing, printing, counting, etc. into one. It adopts servo motor to draw the film whose tension is controlled by the pneumatic cylinder. The temperature control section is integral with PLC control, thus the control is more reliable. Pneumatic transverse and longitudinal sealing with stable and reliable action; omnibearing inspection system and failure display make the machine operate more reliably; touch screen control makes a better man-machine interaction and makes both operation and maintenance convenient. Accord with various kinds of packing instructions, totally meet GMP , HACCP ,etc. and produce the standard.